At Brampton Pallet, we’re huge proponents of keeping perfectly good lumber out of landfills. Wood and pallet recycling is a big component of our business, and we’re very pleased to be able to offer clientele in Toronto, Milton, Mississauga and Brampton wood pallets that are made from recycled lumber. You, too, can make use of scrap pallets. Almost any building project can employ them to functional and fashionable ends. Here are five ideas to illumine your imagination. A plush, oversized armchair for your living room or patio can be constructed from any two pallets of the same size. Saw each pallet in half and assemble the pieces to construct the chair (a simple Google search will turn up more detailed instructions). You can paint the wood any colour you like or stain it if you prefer natural looking wood. Foam cushions can be added for comfort. All that’s needed to make a fabulous wall-mounted wine rack is the end section of a pallet, about 90 minutes of free time and some basic power tools to rig it together. The top part of the shelf is used to hold the wine bottles while the bottom part has uniform holes cut into it to hold your stemware. A light stain will give the wine rack a rustic feel whereas paint and stencilling will lend a country cottage aesthetic. A wood pallet room divider can add a dramatic touch to a bedroom, living room, or any part of your home where you wish to demarcate a particular area. You’ll need six pallets for a two-paneled divider, and three more for each additional panel. Customize your divider by hanging framed photographs, vintage signs, artwork, or anything else that strikes your fancy. Great for a patio or a small outdoor balcony, a vertical planter will beautify any outdoor area, even one with limited space. Prep a pallet of any size by sanding and then painting or staining the wood. Attach fabric pockets for holding soil between the slats. Finish by planting succulents or other greenery of your choosing. A wood pallet coffee table is one of the most adaptable pallet projects to put together. There are dozens of variations ranging from complex to easy. Pallets can be sawn in half and stacked or completely disassembled to create the desired shape and structure. Use paint and stains according to your preference. 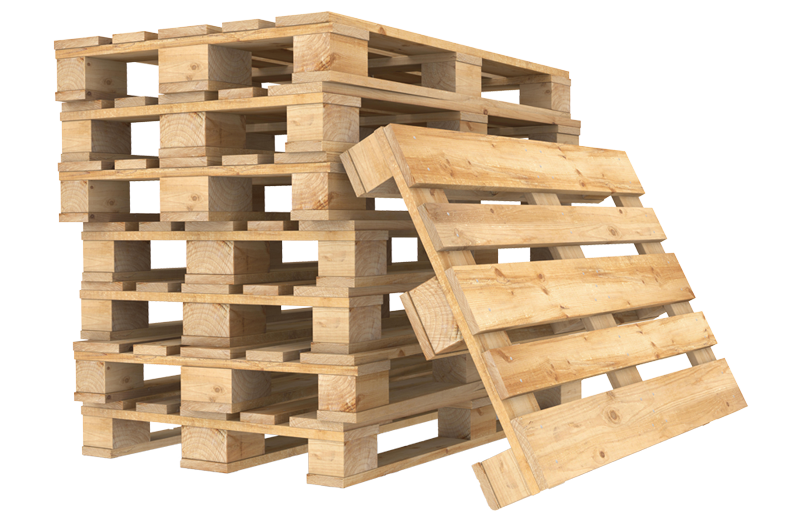 If you’re looking for affordable scrap pallets for your next building project, look no further than Brampton Pallet. Contact us today to get the pallets you need to bring your project to life.